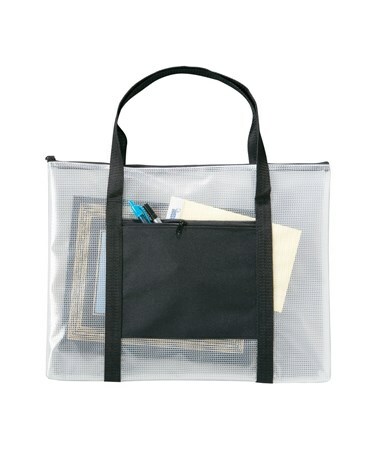 The Alvin NBH Deluxe Series Mesh Bag is an ideal storage and carrying bag for drafting kits, drawing tools, artworks, documents, and many others. It is made of durable see-through vinyl material that allows high visibility. It features mesh webbing reinforcement for additional support and strength. 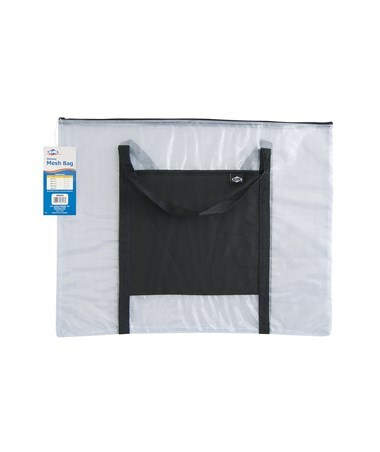 This mesh storage bag has a zippered top to ensure the safety of its contents. Its ¾-inch wide gusset offers more room for a wide variety of materials. Its exterior zippered pocket is made of black nylon and provides a perfect space for keeping smaller items. Equipped with nylon carrying handles, it is convenient to use and allows easy transport. 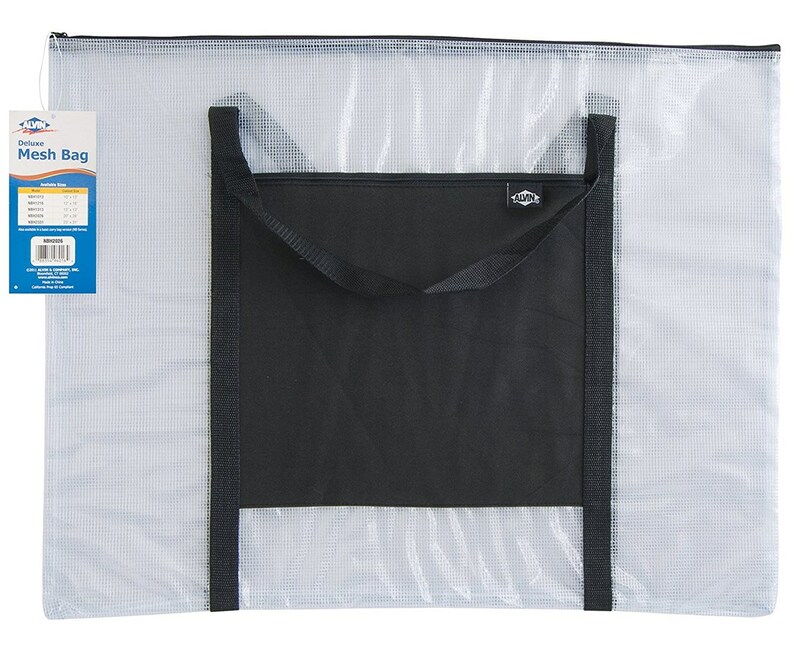 The Alvin NBH Deluxe Series Mesh Bag comes in five different sizes to accommodate most storage needs. Available sizes are 10"W x 13"L, 12”W x 16”L, 13”W x 13”L, 20”W x 26”L, and 23”W x 31”L. It is packaged flat with a cardboard stiffener. The Alvin NBH Deluxe Series Mesh Bag offers five different sizes. Please select your preference from the menu above.